Want it by Wednesday 24th April? Order within 4 days, 21 hours, 11 minutes and choose Next Working Day - Kerbside Delivery (Order Must be Placed by 2pm) at checkout. As Engineered flooring goes, this is a great example of an affordable yet high quality and visually impacting floor that will last in your home for years and years. This 18/4.5mm thick Majestic Series Lacquered Floor is 125mm wide, with random lengths ranging anywhere between 400mm and 1200mm. As it has a Tongue and Groove fitting profile it will take less time to have your dream floor laid and ready for use. From and interior design point of view this floor will accentuate space in a more confined room, and with such a warm finish on the floor your colour scheme can be bright and bold, or pale and mellow. For some interesting ideas check out this blog. As this floor is treated with 5 layers of aluminium oxide, it's even more durable and hard wearing, and as it's a lacquered floor, there is even higher protection against water damage. We only sell quality prefinished hardwood flooring as the factory finish is far more durable than any finish that can be purchased. This also eliminates the timely task of finishing the unfinished floor once installed. This product has been treaded with a Lacquered finish which offers a smoother matt surface with an extra protective high resistance coating. 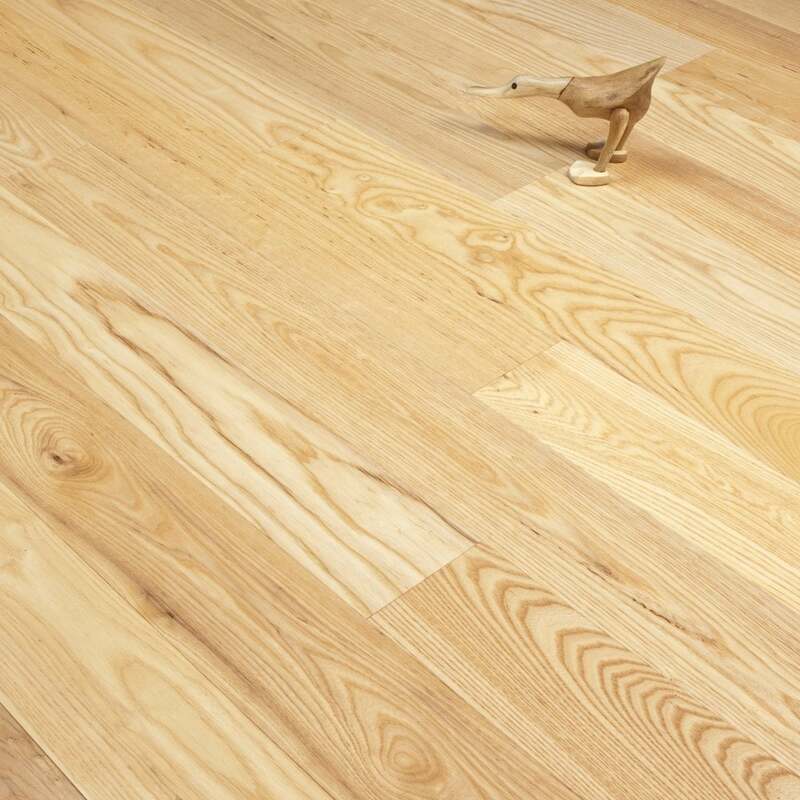 One of the best things about this floor is that with the thickness of the board, it can be stripped down and treated again more than once, so you can make the floor look different or new again, or if you like the look of aged ash, simply let the floor sit and absorb the years in your home. The proof is in the grain, so order your sample today! We have just laid the ash floor in our new kitchen and it is really beautiful. Great service and a lovely floor. Highly recommended, thank you!